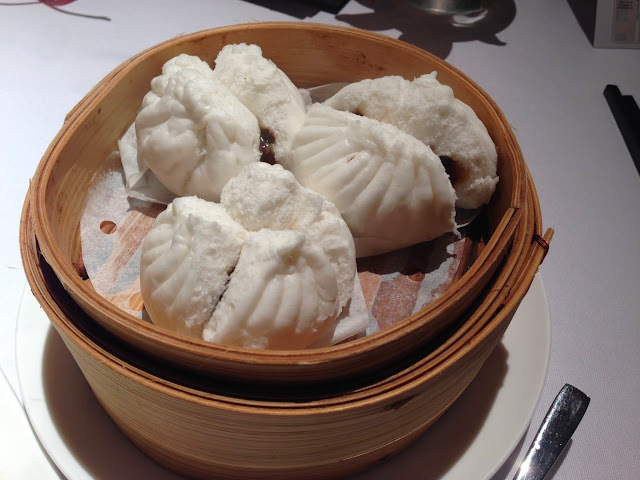 Having dim sum in hong kong is fun because there is something for every budget level. 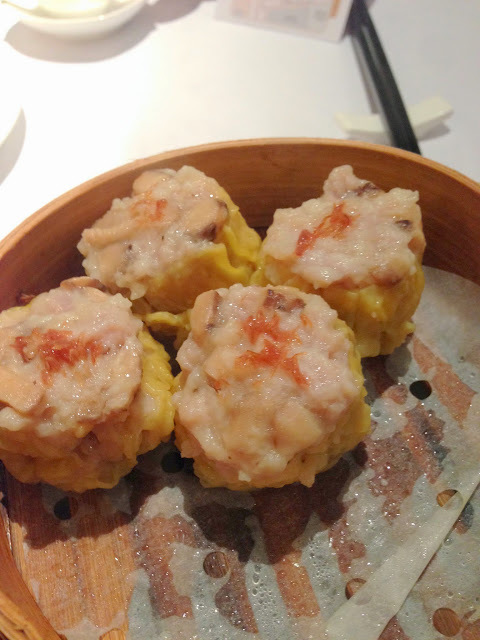 You can go to the traditional dim sum houses where dishes are distributed via a pushcart, head for more mass market dim sum where hundreds are seated in one restaurant and food is sent out at remarkable speed, or choose to shell out more money for a luxe experience. All are equally fun, and good. 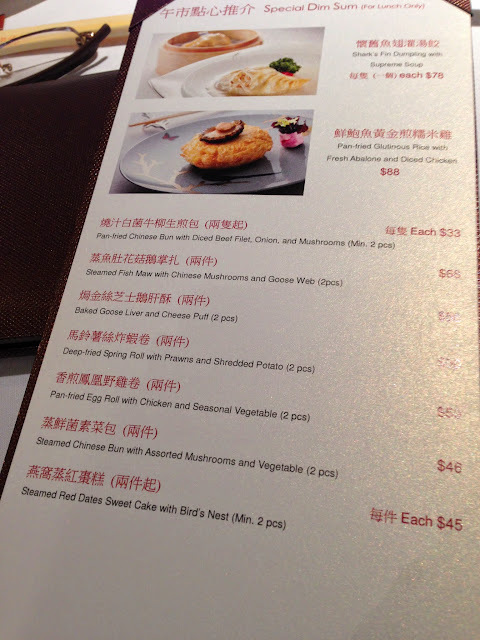 Sun Tung Lok is a more expensive option in HK but it’s about the price of Lei Garden in SG. 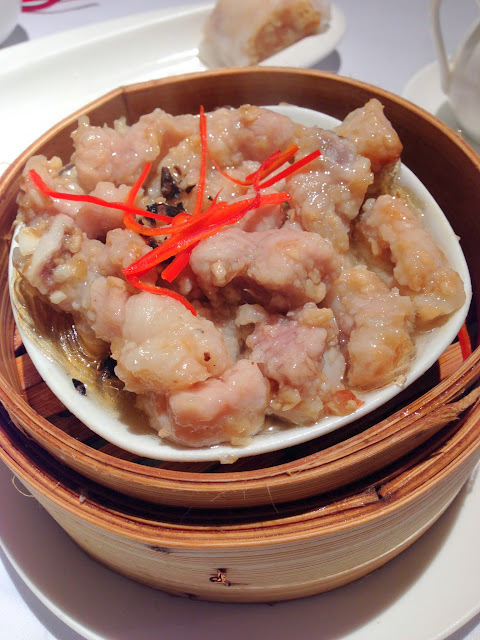 Overall the quality of the dim sum at Sun Tung Lok was fantastic. The quality of the ingredients used were good thus little seasoning was required to bring out the flavours of everything. 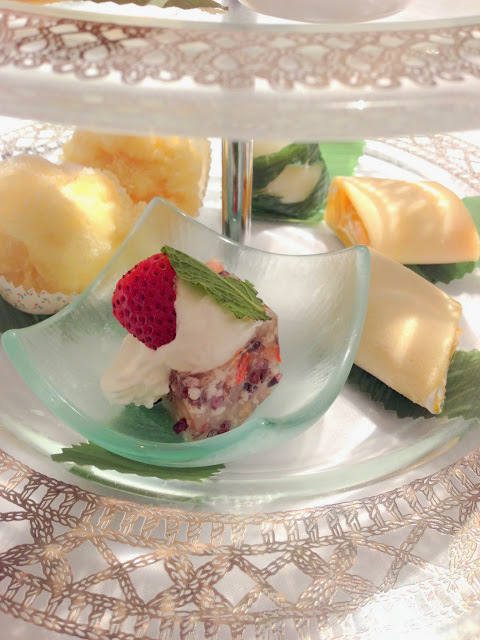 The highlight was definitely the two-tiered Royal Dessert Platter. 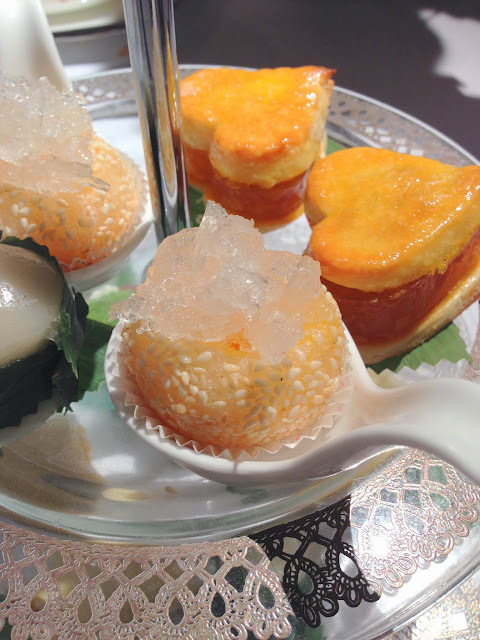 The traditional Cantonese desserts were given the fine dining treatment and were all very well made. I liked the 馬蹄糕 (water chestnut cake) that was sandwiched between two layers of buttery, crumbly shortbread, and the 煎堆 (fried sesame ball) filled with salted custard and topped with birds’ nest. 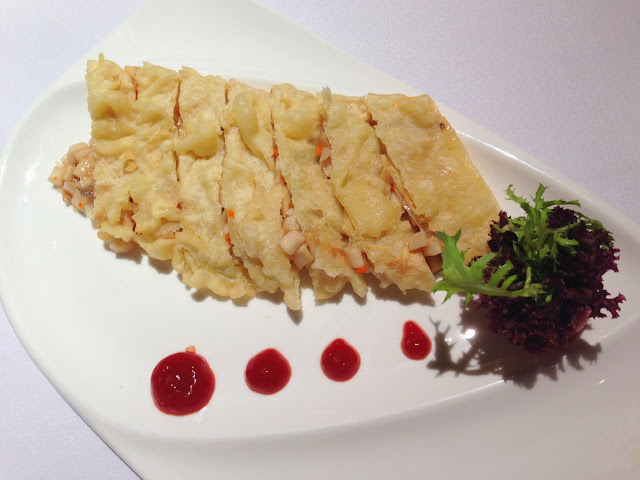 You can consider dining here if you are staying/visiting the Tsim Sha Tsui area. The shopping centre seems to be under renovation so we took awhile to find it. Just follow the directions and you’ll be fine. I can’t remember what this was called but it was filled with a mix of stir-fried diced king oyster mushrooms and veg. Quite pleasant, and again minimal seasoning. 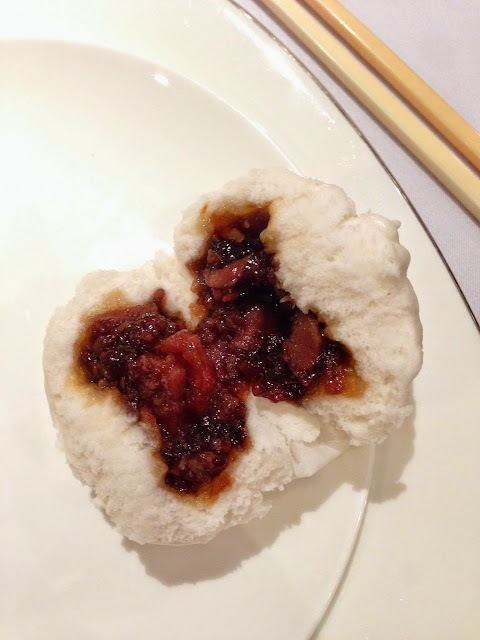 My favourite dim sum item is char siew bao and they do a delicious one here. Sticky but not too sweet filling, full of meat that wasn’t too fatty and the skin was fluffy and soft. 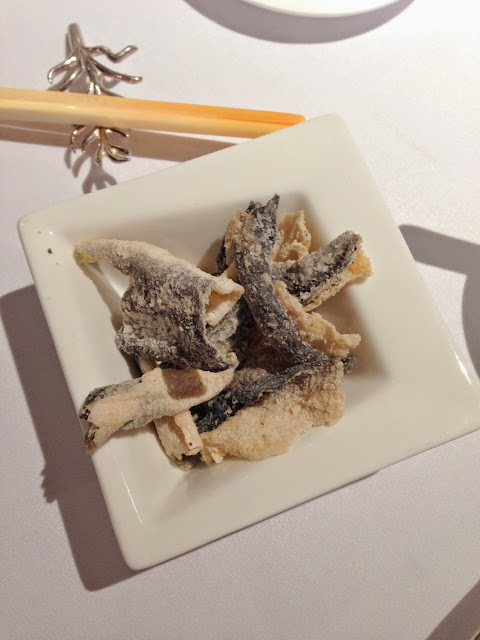 You Tiao filled with stewed radish and covered with cheong fun. The light sweetness of the radish gave a balance of flavour. Parents finished up the plump siew mais. 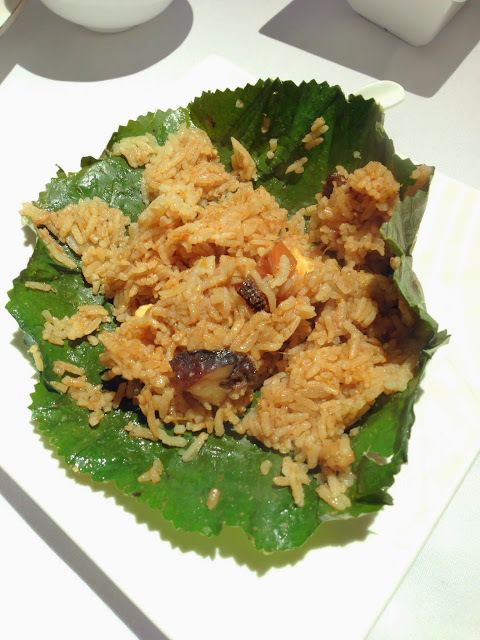 Lotus leaf rice. One of the better ones we’ve had. 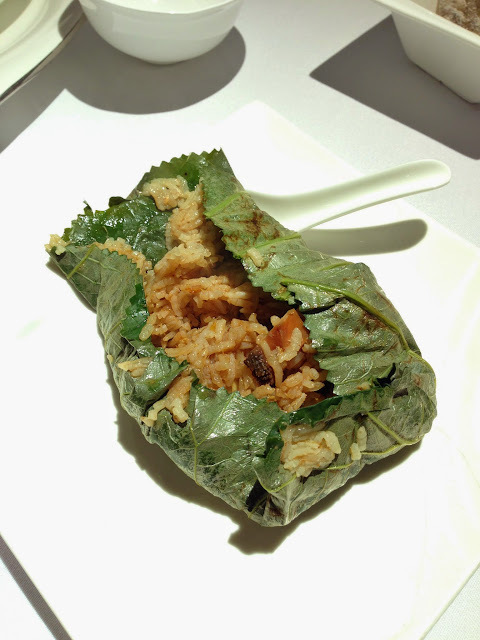 The al dente rice grains were perfumed by the lotus leaf, and it was chock full of different premium dried ingredients. 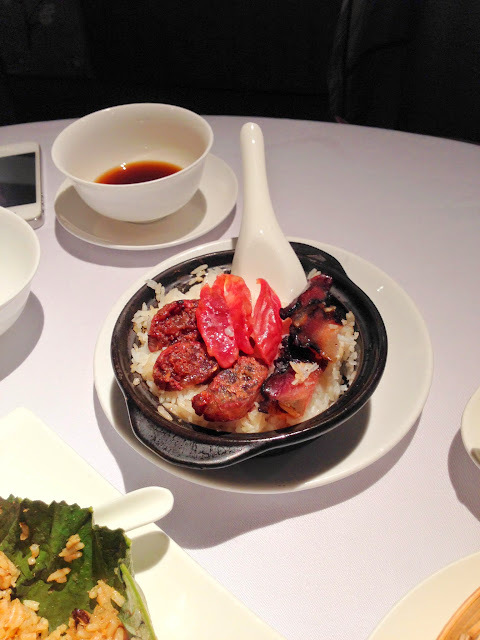 Claypot rice with various dried meats. Don’t miss out on desserts here! A must-order.